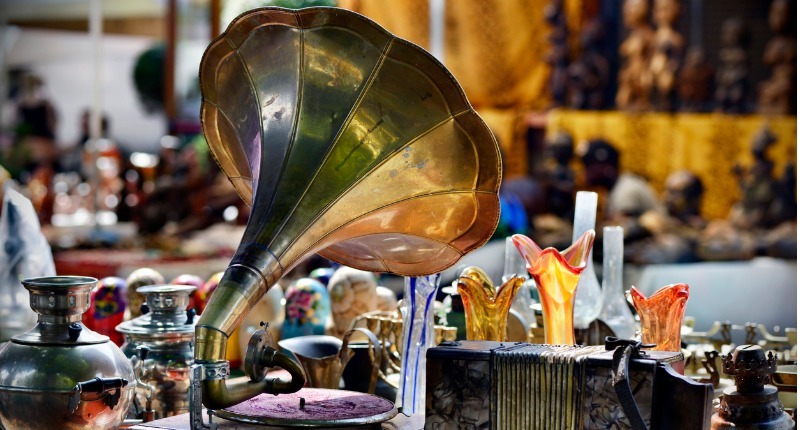 All things vintage and antique have a strong appeal to many people, especially having in mind the fast-paced time we live in and the fact that we are surrounded by uniform mass-produced items. 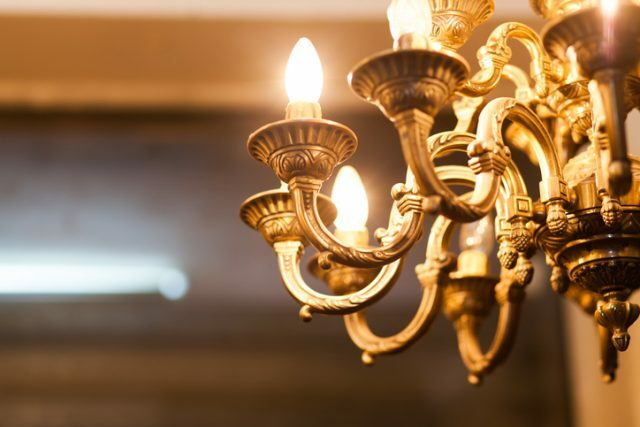 Whether a full-on antique lover or a modern minimalist looking for a unique touch for their home or apparel, the customers of these wares are as diverse as the objects themselves. However, there are some trends among people shopping vintage and items that are most sought after. 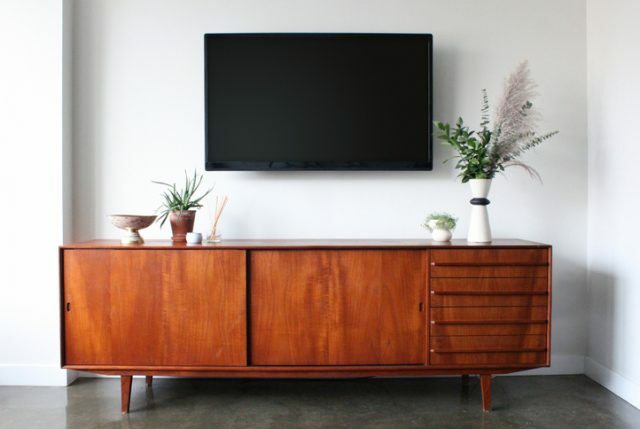 A 50-inch flat screen TV wall is mounted above a mid-century modern teak credenza. Decorated with simple, modern pottery, plants, candle and aromatherapy. They now come in many different forms, sizes and colors and are highly sought after. Generally Scandinavian style furniture is very popular, but the vintage Credenzas are flooding retailers such as eBay and vintage shops everywhere. 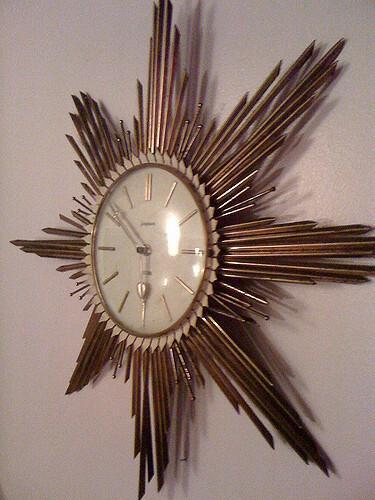 Again a mid-century classic, Sunburst Clocks are extremely fashionable now. Both new and vintage items can be found on sale. Known as George Nelson’s clocks they hang on the walls of homes throughout the world and are cherished for their originality and uniqueness. 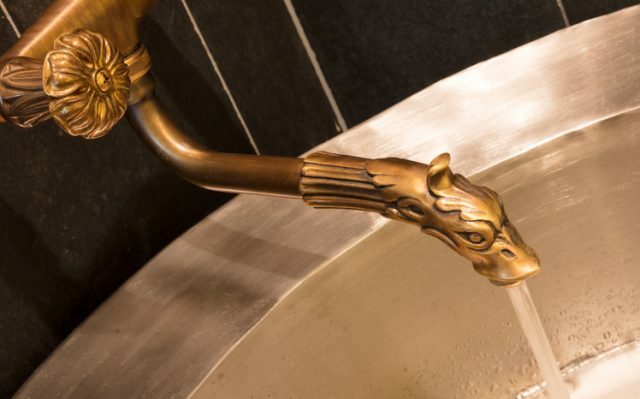 Unique brass faucet – Interior of a sauna. Be it kitchenware or decoration, brass seems to be one of the favorite materials of vintage lovers. The warm toned metal can be the perfect addition to different interiors. However, there is one item that is a winner among all brassy things, and it is wall sculpture. They were the mid-century must have, inspired by the works of Curtis Freiler and Jerry Fells, and are now coming back into fashion. 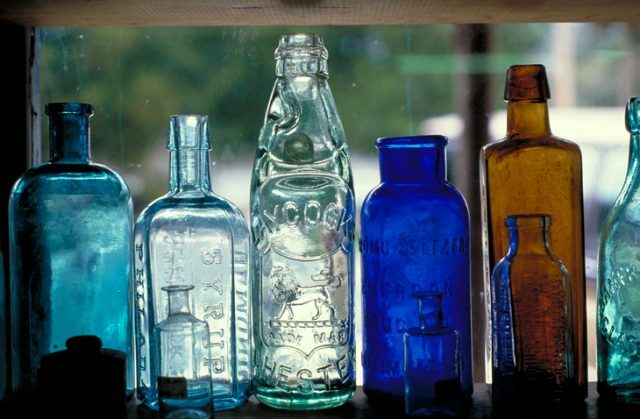 Colorful vintage medicine bottles in an antique store window. Be it clear or green glass, round or square-shaped, vintage class bottles are now replacing conventional flower vases. 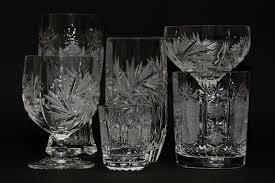 They are becoming more fashionable as a chic decoration for holding candles and fresh or dried flowers, as well as being a popular choice of quirky ornament on their own. 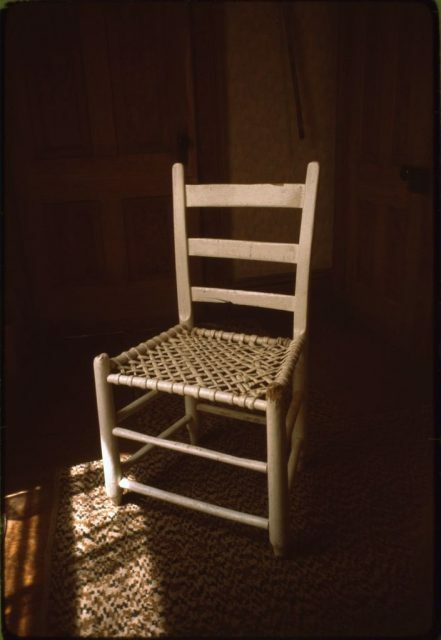 Ladder-back side chair with thong seat, Stock-Stewart residence, Ninety-Six Ranch. These chairs, also known as slat back or fiddleback, got their name from the back support that resembles the ladder. They date back to the Middle Ages and by the 17th century they were the most common style of chair used throughout England and colonial America. Comfortable or not, to this day these items stay the most popular among chairs. Just a quick Google will offer you many websites selling the vintage or new, but vintage looking models. 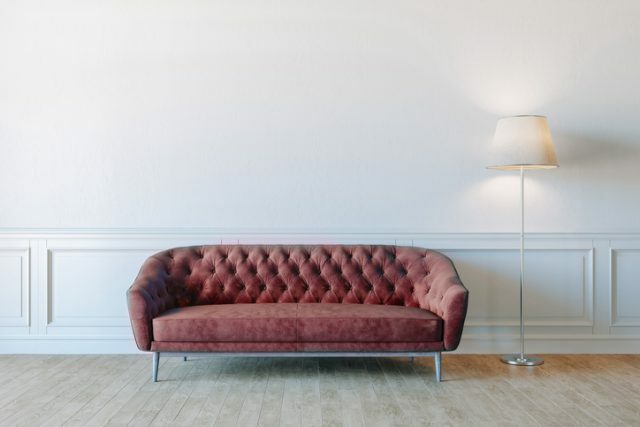 A woven tufted fabric such as velvet may not be comfortable for the heat. However, it looks extremely luxurious and it feels equally soft. It was first produced in Baghdad under Harun al-Rashid, and has been a part of various noble houses throughout Europe and the world. Now it is sought after in the form of sofas, cushions and chairs to add the extra luxurious flavor it offers. Cocktail parties grew in popularity starting in the ’50s and never lost their appeal throughout the ’70s. Gold rimmed martini glasses, the glass carts holding intricately designed glasses or champagne bottle holders all evoke the entertainment spirit of the yesteryear. A great resource for spotting these items is a TV show “Mad Men” which also helped in bringing the whole culture of cocktail parties back in fashion.